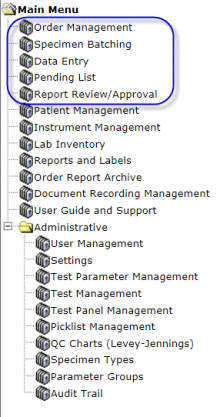 The LabLynx LIMS, from LabLynx, Inc. is the Laboratory Information Management System (LIMS) developed from the core ELab product that is designed specifically for flexibility, so that there are editions for every kind of laboratory. Like all versions of ELab, it is web browser-based so that users access it according to assigned access profiles over the Internet or an Intranet (LAN/WAN). It is designed to be a robust, easy-to-use system for managing samples/specimens, cases, projects, lots, products and their analysis, QC and results reporting, along with many other useful features and functions. HealthCloud POL accounts include an unlimited number of users at no charge, and a comprehensive collection of support materials (see Support Resources). 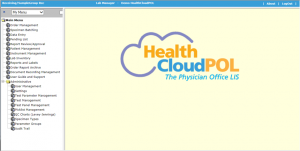 The HealthCloud Physician Office LIS itself includes a main user menu for daily operations, plus an Administrative menu, which is accessible only to users designated by the lab for setup and configuration management. 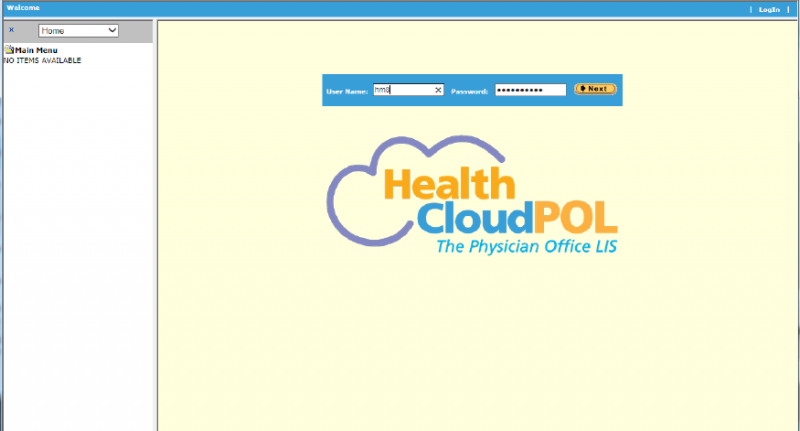 These menu items reflect the workflow of the POL and the features and functions contained in HealthCloudPOL. 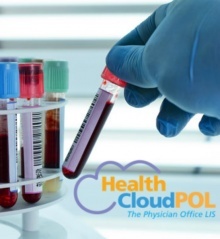 HealthCloudPOL contains everything the typical laboratory for a clinical practice needs in an LIS, and probably significantly more. Like ELab generally, it is configurable so you can add new tests, define normal ranges, upload your logo and contact details to customize the patient results report, and more. For additional options, just contact your LabLynx, Inc. representative or enter a Help Desk ticket. HealthCloudPOL is fully scalable, and in fact includes Inventory Management, Instrument Calibration and Maintenance Management and many other features and functions. For a list of available Plugins, see the Optional Plugins section of the HealthCloudPOL Manual, available at HealthCloudPOL.com. For pricing details, see the Pricing section of the HealthCloudPOL Datasheet/User Requirements Specification (URS) LIMSpec in the HealthCloudPOL Manual. The daily usage of HealthCloudPOL to submit and process orders and produce results reports is at the core of its design. So, these functions constitute the topmost menu items (see picture). 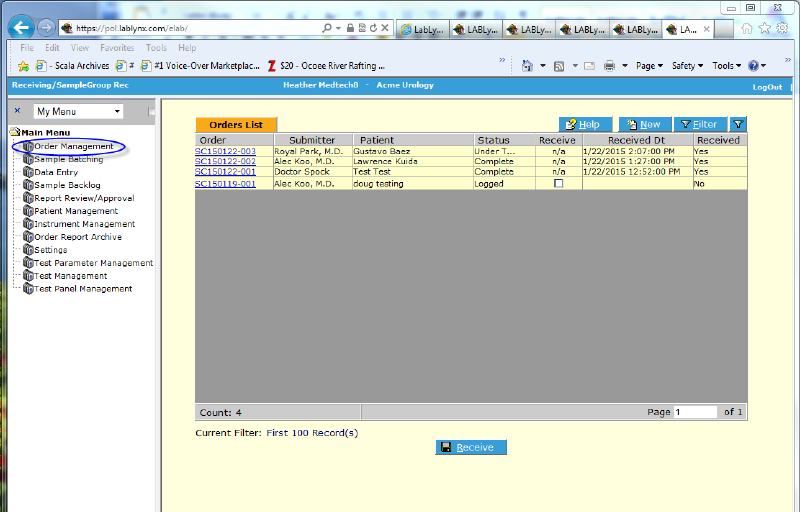 Administration – Standard administrative or management functions include User Management, Test and Analyte (Parameter) Setup, Picklist Management, QC report and Help Desk. These admin functions are documented in Chapter 4 – Administrator’s Guide. 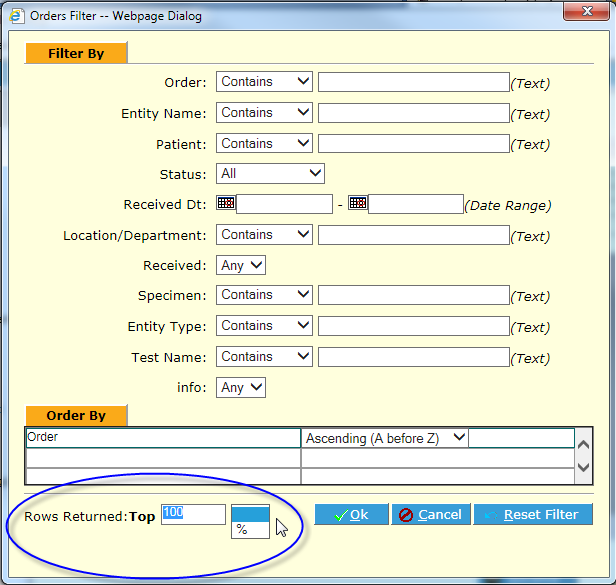 For examples of these and other available optional reports, see the Report Examples section of Appendix A – Reference materials. In HCPOL, the Done button replaces the Back button in your browser. The system generates a popup warning that unsaved data will be lost when navigating away from an edit page. In general, the process is to save whatever you are doing, then click Done . Please note that use of the Back button in your browser is NOT recommended, as it will log you out of the LIS in some browsers. There are a number of common problems users encounter simply because of browser settings, procedural errors or they simply forgot a step in a process. To make life easier, here’s a guide to those so you can save having to submit a Help Desk ticket and losing valuable time and money! Browser is either Internet Explorer 9-11 or in Compatibility Mode, Firefox or Safari. Chrome can give varying results at the time of writing. Note: Often a refresh or ‘New Session’, or Log out/log back in will fix the problem. For all operations, open a browser (see Troubleshooting Tips and Common Errors) and navigate to the LIS at the SSL-encrypted URL allocated (usually in the format http://xyz.lablynx.com/POL). Log in with the login and password provided by the LIS Administrator. 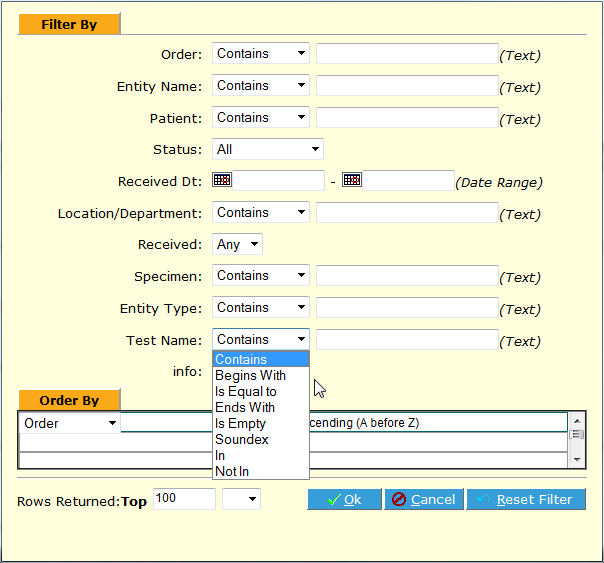 On any List screen, and wherever there is a lookup list within a screen, the HealthCloudPOL Filter offers a quick and easy means to narrow down the choices and display a specific set of records (or a single record). The fields by which the user can search are contextual. That is, they vary according to the records for which it is used. 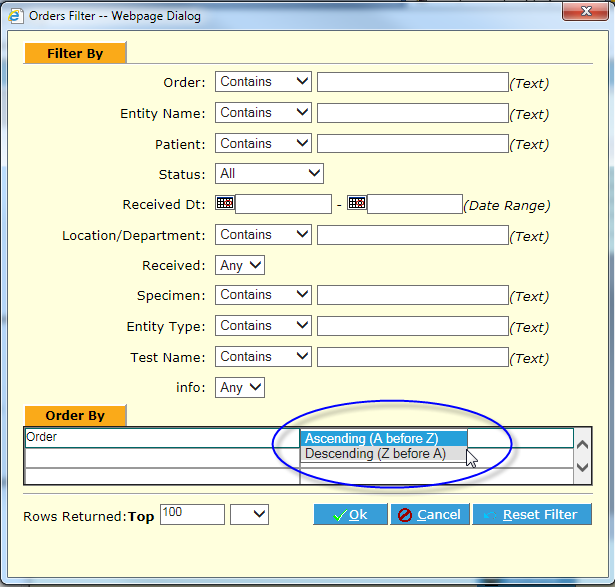 It is important to remember that the Filter tool is “sticky” – that is, it remembers any criteria you put in place throughout your logged-on session. It is a common occurrence for users to return to a screen that was previously filtered and wonder why they aren’t seeing all of the records they expect to see. 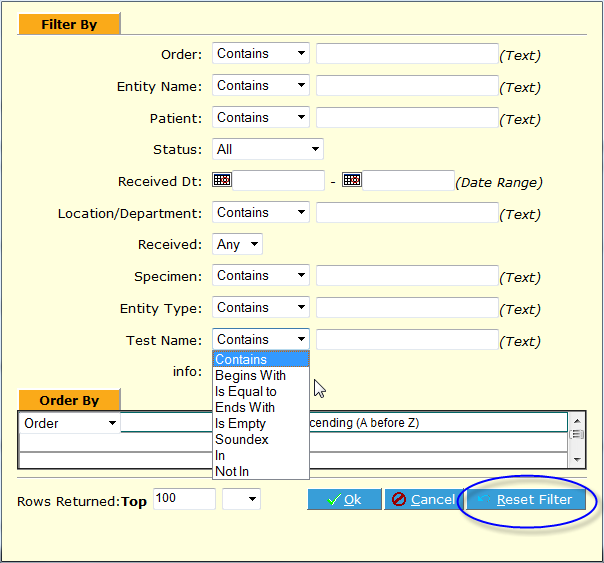 To re-set the filter to show all records (up to the default number of records shown at the bottom of the list frame – this also may be changed on the filter itself), simply click the Reset Filter button. 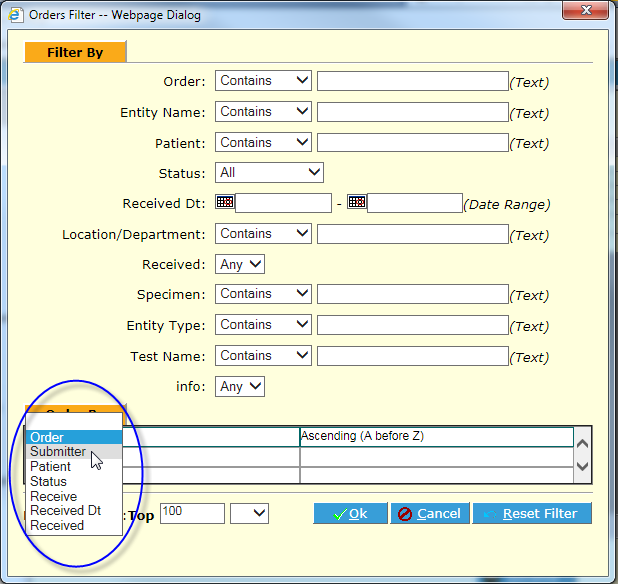 Additionally, users can adjust the order in which filtered results are displayed, and/or the number of records. NOTE: It is generally a good idea to bring back the minimum number of records necessary, particularly where there are a great many, so as to not use up unnecessary resources. The filter is set to limit records to a reasonable number by default. Included on most screens in the system is a Spell Check button. 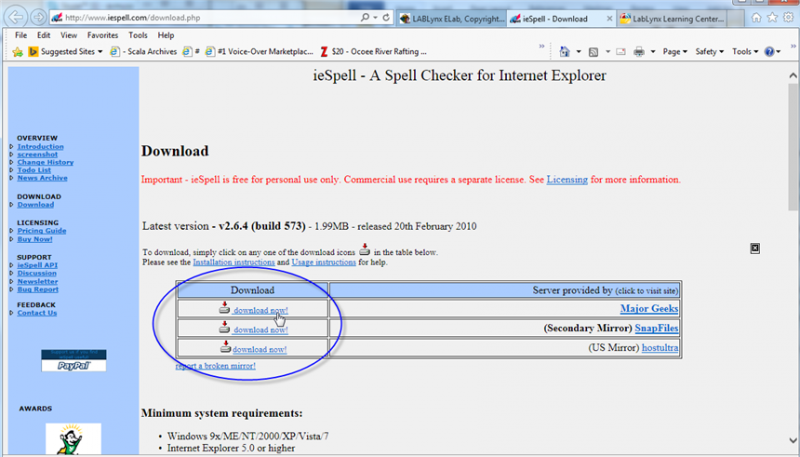 The first time you click it, it will open a window to download ieSpell, providing Spell Check capabilities for HealthCloudPOL if you are using Internet Explorer as your browser. Once downloaded and installed, clicking the Spell Check button in HCPOL will spell-check the page. Answers to common questions can be viewed in Appendix A – Reference materials, in the FAQ and Knowledge Base section, along with access to more information, contained in the LabLynx Wiki. The LabLynx Wiki is a wikipedia site specifically dedicated to all things LabLynx. It includes the LabLynx Knowledge Base and HealthCloudPOL manual’s individual topic pages, along with much more information about all of the various LabLynx Products and Services, and other LabLynx-related articles and topics.